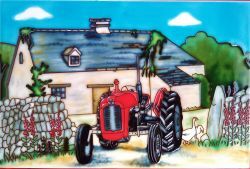 Hand Painted Wall Plaque 8x8"
This cute modern tile is from our range of Kate West tiles. 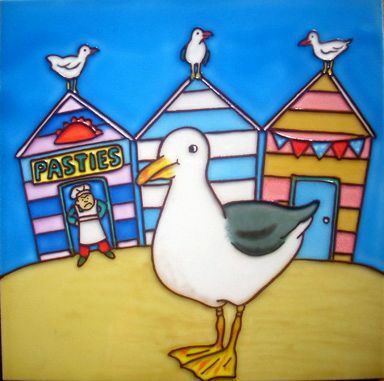 This local artist has done a few designs for us, her seagull cartoons are legendary so we couldn't resist joining in! With vibrant colours and a high gloss glaze this tile will brighten up any room and remind you of those lazy summer days spent on the beach!